Alaska Imaging is dedicated to helping all Alaskans find their best path forward by combining personalized care with specialized expertise. Welcome to Alaska Imaging! Our radiologists provide expert radiology services at some of the largest and highest-rated medical facilities in Alaska. 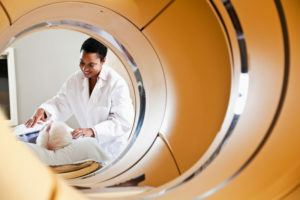 From Barrow to Anchorage, our team of experienced and fellowship-trained radiologists are there to provide you and your provider with exceptional imaging services. One of the central tenets of our radiology practice is communication—both with medical providers and with patients. We are available 24 hours a day, 365 days a year for consultation and our radiologists take pride in their efforts and abilities to communicate directly when you need it most. What is the advantage of having a specialist on your medical team?